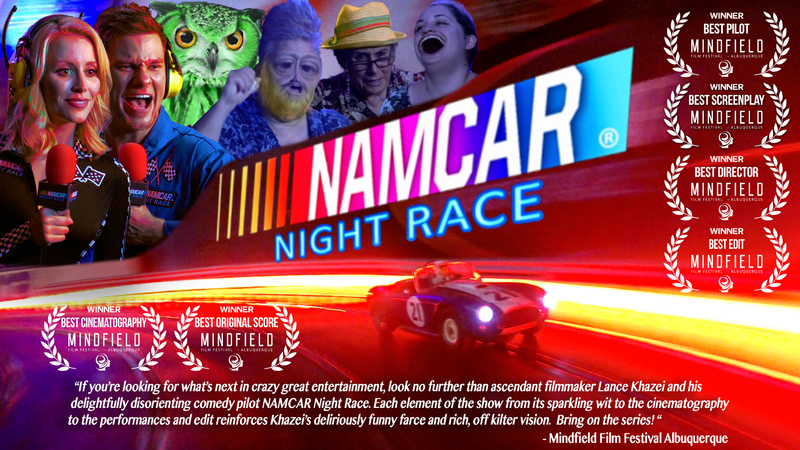 Written and directed by Lance Khazei, NAMCAR Night Race is a comedy depicting a league of adults who compete in an after hours model car racing league. 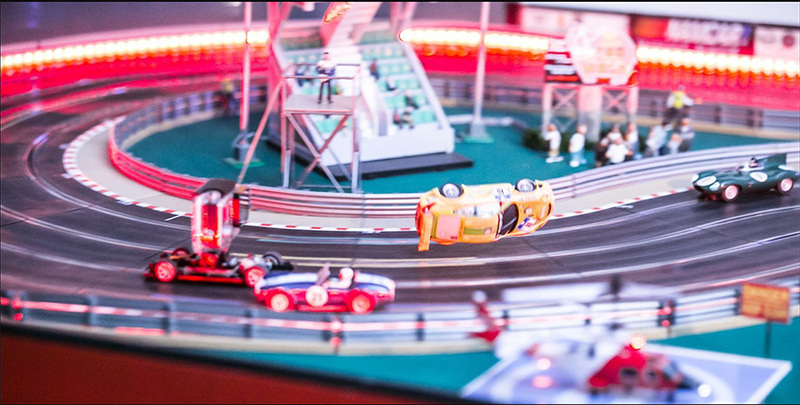 Drivers push the limits of their slot cars, friendships and bitter rivalries as they brave extremely fake conditions and the final frontier in racing, a frontier of plaster, plastic and diecast metal. 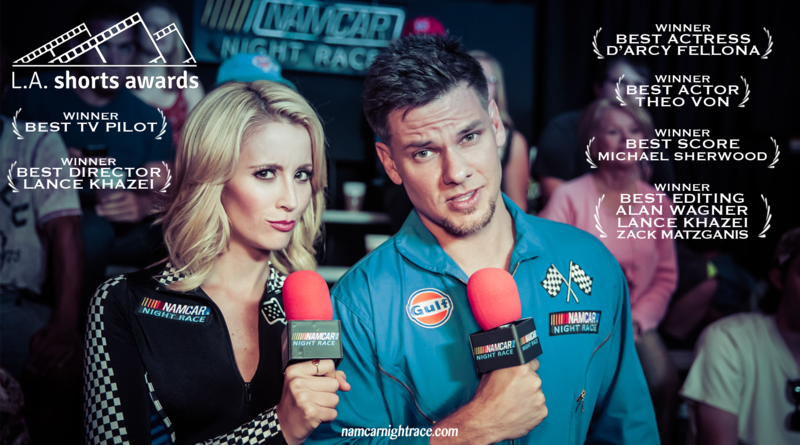 Independently produced through Space Age Entertainment, the NAMCAR Night Race pilot film is an extended first look at a television series. 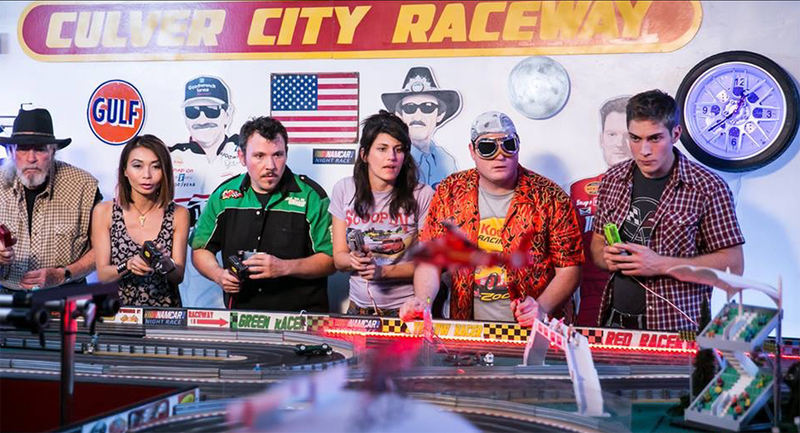 A "NASCAR on acid," the film introduces itself as a mock reality competition before giving way to more and more moments of surrealistic comedy. 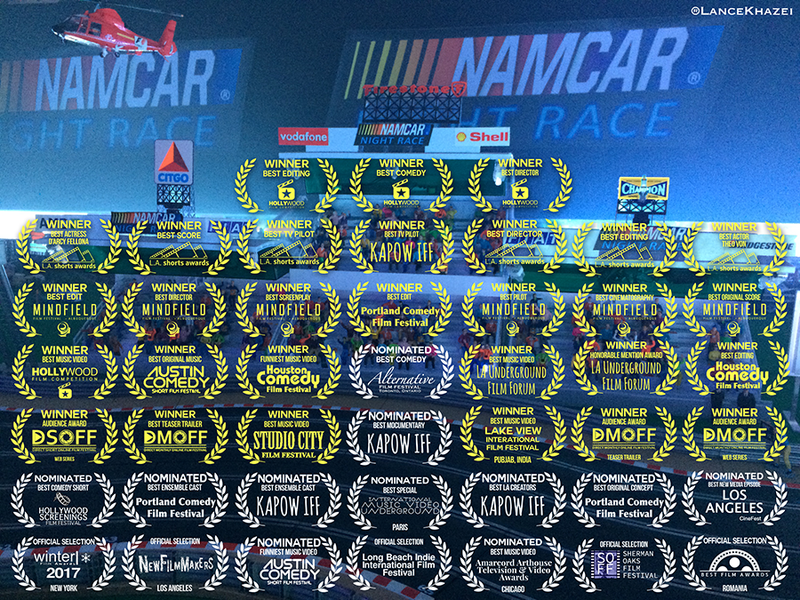 The NAMCAR Night Race pilot film, official music video and promotional trailer all screened to fourty-five total wins and honors worldwide in 2017 and 2018. 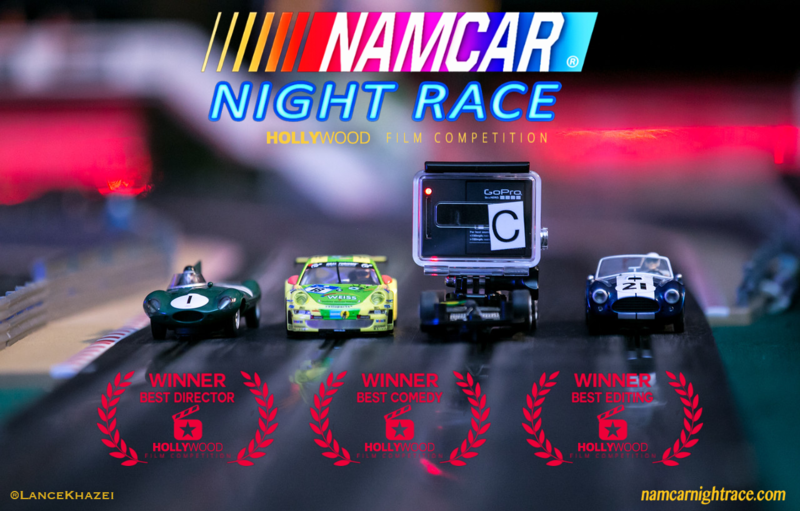 NAMCAR Night Race wins and nominations include multiple Audience Awards, Best Television Pilot, Best Director, Best Screenplay, Best Cinematography, Best Actress, Best Actor, Best Ensemble Comedy, Best Comedy Short, Best Mockumentary, Best Original Concept, Best Los Angeles Creators, Best New Media Episode, Best Ensemble Cast, Best Editing, Best Original Music, Funniest Music Video, Best Music Video, Best Teaser Trailer and Best Special. 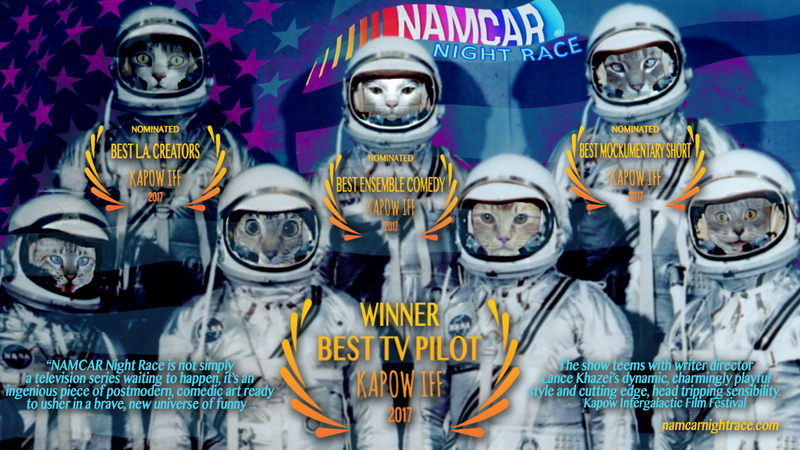 The official music video for NAMCAR Night Race features the mock rock, Journey inspired original theme song “Race to Live, Race to Not Die” by writer, director Lance Khazei and musician Michael Sherwood. 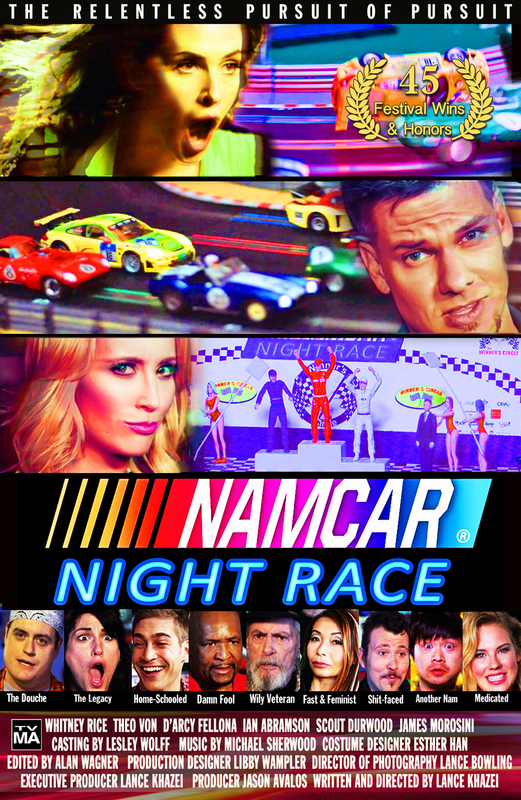 The video features clips from NAMCAR Night Race and the NAMCAR cast with additional performances provided by Matt Grey Phairas as ‘Steve Parry’ the lead singer. Guitar was provided by Christian Nesmith. 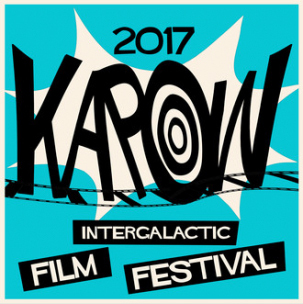 The show features a cast of ascending comedy talent including Theo Von (Netflix's Theo Von: No Offense), Scout Durwood (star of MTV's Mary + Jane), Whitney Rice (Amazon’s The Last Tycoon), Ian Abramson (star of Comedy Central Digital’s Seven Minutes in Purgatory), James Morosini (CW’s Crazy Ex-Girlfriend, FX’s American Horror Story), in addition to Dat Phan (champion, Last Comic Standing), D'Arcy Fellona, Colby Lemaster, Anthony Ray Parker, Robert Woods and Sulinh Lafontaine. For complete cast and crew, please see IMDB.